High temperatures and drought conditions are reducing river flow on the BC Coast and increasing river temperatures throughout Europe — creating challenges for fish, forests and foresters. In related news: new fires are threatening more homes in California; evacuation orders have been expanded in Ontario, and lighting is the main driver of new fires in BC. In other news: Canfor Pulp reports record earnings; Resolute and Sonocco CEOs join AF&PA’s Board; Georgia Pacific plans to open a new lumber mill in Albany NY; APA clears the air on formaldehyde regulations; and the USFS Chief says CLT can make thinning a profitable endeavour. Finally, Ontario’s premier says reducing the number of city councillors in Toronto will save trees; while one of his constituents demonstrates how not to transport lumber in your car. You wouldn’t want to drive behind this car. Peel Regional Police stopped a driver in Mississauga on Sunday, after spotting a lot of unsecured wood hanging out the side of a Nissan Sentra. There appears to be around eight pieces of wood sticking out the windows — with nothing holding it down, said media officer Const. Danny Marttini. “You can tell it’s just been stuffed into the car,” said Marttini. Maybe they were building a deck. Maybe a porch needed repairs. But there was definitely a “fair bit of wood there,” she said. Marttini said she’s never seen a case like this before. …This was a “whole new way of transporting wood” — and a dangerous way to carry a load, she said. At any moment the wood could shift around, fall out or cause a collision. The driver was fined $160 for failing to flag a load. Canfor Pulp Products 2Q 2018 net income was $63 million, or $0.97 per share. Record-high 2Q 2018 sales amounted to $396 million, reflecting strong shipments and sales realizations. Canfor Pulp reported operating income of $85.4 million for the 2Q 2018, an increase of $0.3 million from the $85.1 million reported for the 1Q 2018 reflecting favourable Northern Bleached Softwood Kraft pulp unit sales realizations, increased shipments following major weather-related transportation disruptions experienced in the 1Q 2018 and to a lesser extent, improved NBSK pulp mill productivity. CEO, Don Kayne said, “Our solid operating performance in the 2Q enabled us to capitalize on these favourable market fundamentals, and set new record-high operating earnings”. TORONTO — By slashing the number of councillors at Toronto’s city hall Premier Doug Ford says he is saving trees and paving the way for more police officers. …Having not mentioned cutting municipal councillors once in the spring election campaign, Ford announced on Friday that his government would reduce the number of wards in Toronto from 47 to 25. …In response to a question from Horwath in which she accused Ford of “trying to control Toronto city hall from the premier’s office,” Ford said the $25 million in savings the changes will realise over four years will be a boon for the environment. “I can assure you that when we have 25 councillors, it’s going to be 500,000 less sheets of paper,” he said. “I’m protecting the environment. I’m protecting trees. The American Forest & Paper Association (AF&PA) announced the election of Resolute Forest Products president and chief executive officer Yves Laflamme and Sonoco Products Company president and chief executive officer Robert Tiede to serve on its board of directors. AF&PA president and chief executive officer Donna Harman issued the following statement, “Yves Laflamme and Robert Tiede bring deep industry experience and valuable leadership to the table as we work to advance the paper and wood products industry’s top advocacy priorities.” …Laflamme fills the seat left by the retirement of Resolute president and chief executive officer Richard Garneau and Tiede fills the seat left by the retirement of Sonoco president and chief executive officer M. Jack Sanders. 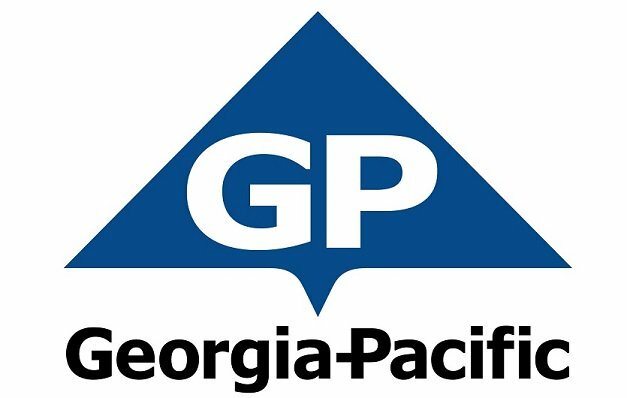 ALBANY NY — Georgia-Pacific will soon begin work on a new facility to process lumber for the American market, in the Albany-Dougherty Industrial Park. The Albany-Dougherty Economic Development Commission announced Tuesday that the new plant would cost about $150 million, and would cover 320,000 square feet. …The company is partnering with Albany-Dougherty Economic Development Commission and the State of Georgia to create the lumber production facility at the Albany-Dougherty Industrial Park. …”We looked in Southwest Georgia, and Albany and the site we finally landed on had everything we wanted,” said Rick Kimble, the Spokesperson for Georgia-Pacific. …It would require about 130 employees and would have an annual payroll of about $5 million. NORTH CAROLINA — Effects of a trade war sparked by the Trump administration’s recent tariffs on various imported materials and products continue to unfold. …According to media reports, tariffs on imported Canadian lumber and wood products boosted American timber and lumber industries. 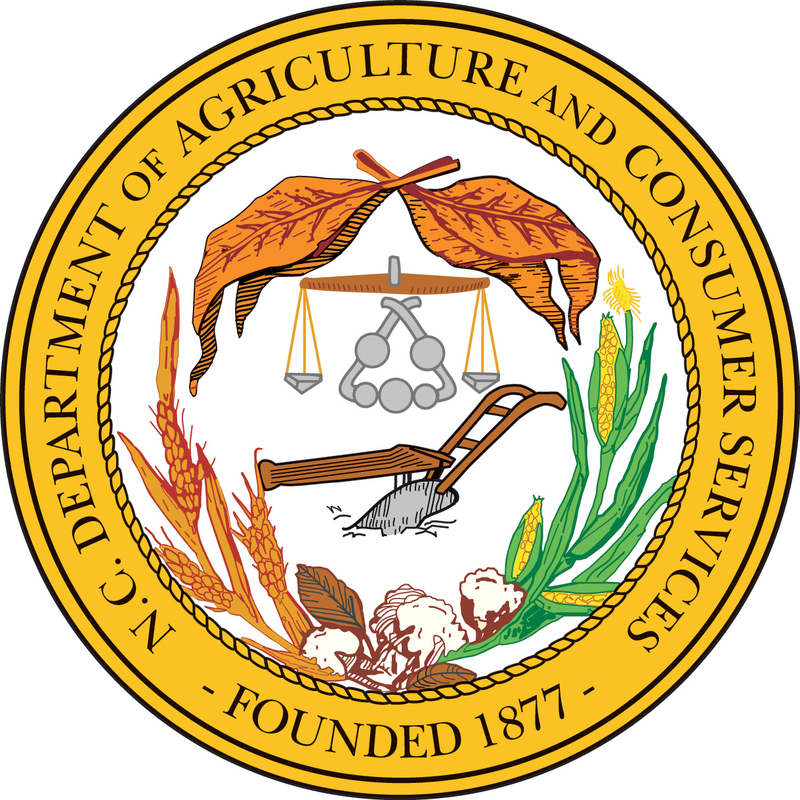 …”The biggest impact so far has been imposed on other agricultural commodities,” said Clayton Altizer, a utilization forester with the N.C. Department of Agriculture & Consumer Services. “Forest products have yet to appear on any list of banned products. However, it’s fair to say there is a lot of apprehension within the industry right now. China is North Carolina’s biggest trade partner (for the forest products industry) by a large margin. And U.S.-China trade relations are certainly contentious right now. Let’s clear the air on formaldehyde—what exactly is it? The regulation specifies composite wood products. What products are defined as composite wood products? What wood products are exempt from the regulation, and why? How do dealers and distributors identify exempted structural engineered wood products? What should dealers and distributors look for on the regulated products, and when do these regulations take effect? Last summer in the South Cariboo was defined by its wildfires. The Elephant Hill wildfire burned 191,865 hectares of land, the Gustafsen wildfire burned 5,700 hectares and additional fires-of-note burned in the Canim and Hawkins Lake area. Pat Byrne is the district manager for the 100 Mile House Natural Resource District of the Ministry of Forests, Lands, Natural Resource Operations & Rural Development. …“There are parts of the area where it’s going to look like a normal forest next year and parts of the area where it’s going to look like a plantation for 15 years.” The land is already starting to recover and plant communities are re-establishing themselves, according to Byrne, but it will be a long process. With the Province indicating moose populations are decreasing, hunting season for bull moose in the Bulkley Valley area is down to three days. …The Province is spending a lot of money — $14 million over the next three years — on developing a new wildlife strategy. Having a somewhat accurate count of animals would be needed to make an effective strategy. This is where the Bulkley Valley Rod and Gun Club (BVRG) wants to help. …The BVRG is starting a project to collect moose hunter harvest information in the Bulkley-Lakes district moose population unit. …Local Stikine MLA and the Minister in charge of the hunting regulations, Doug Donaldson, is happy with the efforts from the BVRG around habitat. “I’m very happy that they’re pro-actively gathering the data on harvest and also taking action on habitat restoration, which is really the key to sustaining populations,” said Donaldson. The province has issued a level-three drought warning for Vancouver Island, Haida Gwaii and the Gulf Islands following weeks of hot, dry weather. A number of fish-bearing rivers and streams on the Island — including the Koksilah, Chemainus, San Juan and Salmon Rivers — are approaching critically low levels. 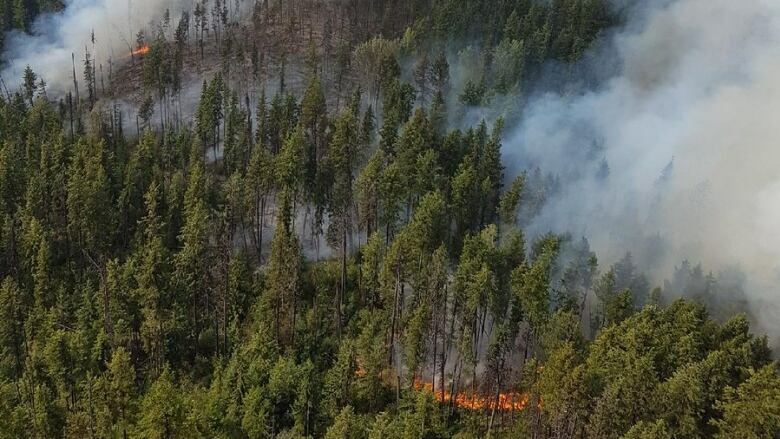 “We’re just starting to see the beginning of potentially serious consequences,” said Valerie Cameron, a water manager with the Ministry of Forests, Lands, Natural Resource Operations and Rural Development. …If voluntary conservation measures fail, provincial officials have powers under the Water Sustainability Act to regulate water use, possibly by suspending water licences or short-term water approvals. Over the years, I’ve walked many visitors into the Tongass national forest in Alaska, and watched the city tinsel drop from their eyes. …I live here, in this land made of water, where green is not just a color, it’s a texture. …Where we pick berries and hunt deer, and remember the slaughter, back in the 1970s, 1980s and 1990s, when US taxpayers heavily subsidized large-scale clearcut logging. …This massacre might now return, as the secretary of agriculture, Sonny Perdue, wants to put Alaska’s Tongass national forest back to work as a “healthy” forest. …Don’t be fooled. In short, Perdue and Murkowski want to exempt Alaska from the 2001 USFS “roadless rule” that prohibits road building on 44.8m acres in 37 states. Hardware chain Bunnings has put VicForests on notice that it must reduce its impact on Victoria’s native forests or risk losing its custom, after the state-owned forestry company failed in its bid to achieve green certification. VicForests …is under pressure from green groups who want to see an end to large-scale logging in old-growth forests. It is also under rising pressure from several smaller timber mills across the state which say they have been starved of high-grade hardwood since the Andrews government bought out the state’s biggest native timber mill, in Heyfield, last year for $62 million. But a move by VicForests to demonstrate its green credentials and satisfy Bunnings, perhaps its highest-profile customer, has backfired. VicForests announced late last year that it was seeking Forest Stewardship Council certification… But auditors for the council have knocked back VicForests’ bid to obtain “controlled wood certification”, the lowest level of green endorsement on offer. PAPUA NEW GUINEA — Prime Minister Peter O’Neill says there will be a complete ban on round log exports by year 2020 so that we keep the jobs in our country. In a statement to parliament last week, he said: “We will not be issuing timber permits for round log exports by 2020. …“We want to get the timber companies to go into downstream processing in our country and the fixed product can be exported overseas. “That is well in line and there is a good understanding in the industry and Government about how we develop our forestry industry.” …We are making headways in terms of our negotiations with the resource companies. A substantial number of lightning strikes across B.C. prompted a very active day in terms of new wildfire starts. Ryan Turcot, a fire information officer with B.C. Wildfire Service, says 57 new wildfires started on Monday. 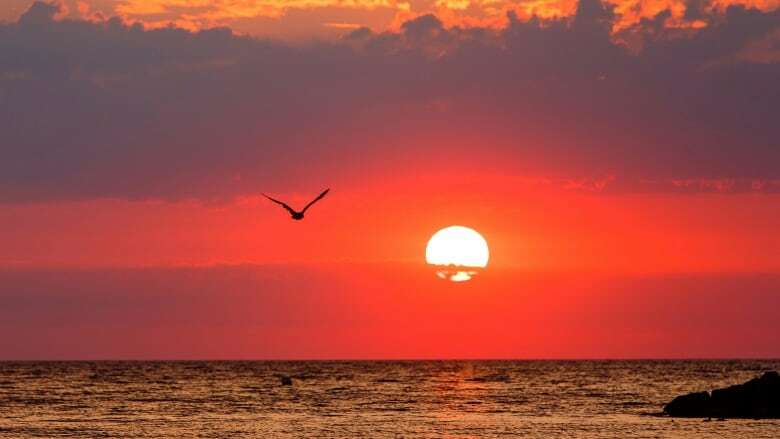 “If you look back to last week, it was very hot and dry across the province. That really increased the fire danger risk for basically all of B.C.,” Turcot said. Lightning was a major driver for the new fires; the Cariboo Fire Centre has had over 1,000 lightning strikes over the past 24 hours. …”We’ve been under this persistent ridge of high pressure for more than a week,” Erven said. “What that does is it traps forest fire smoke near the surface of the earth, so you get the buildup of wildfire smoke concentrations throughout the Interior of B.C.” A shift in weather could bring some relief. More areas south of Sudbury, Ont., received evacuation notices today as firefighters continue to try to control a fast-growing forest fire known as Parry Sound 33. 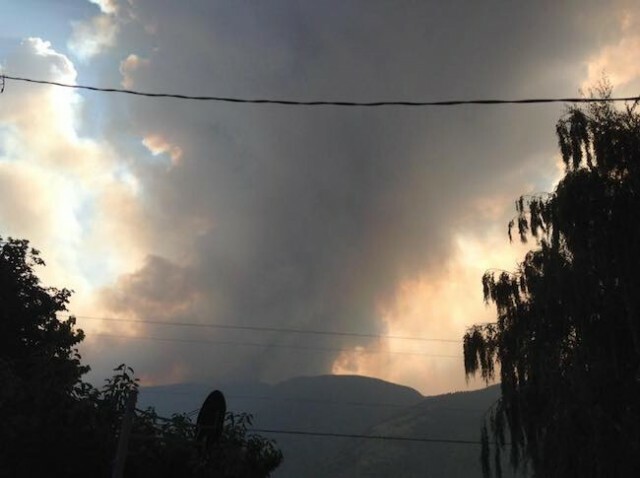 According to the Ontario Ministry of Natural Resources and Forestry, the fire has now grown to 10,139 hectares. The evacuation orders affect several areas of the Municipality of Killarney… There’s no word on when the orders might be lifted. According to the Ministry of Natural Resource, as of late Monday evening, there were 41 fires burning across northeastern Ontario. Fifteen of those aren’t under control. Parry Sound 33 is of particular concern because it was less than a kilometre from the Pickerel River and just five kilometres from the Trans-Canada Highway (Highway 69) on Monday night, prompting fears it could shut down the main highway. BOISE, IDAHO — More firefighters are being called in to fight a fast-growing central Idaho wildfire that has been classified as one of the top priorities in the Great Basin region. The fire about 6 miles east of Bellevue on Tuesday nearly doubled in size to 54 square miles and started burning into the Sawtooth National Forest, a popular recreation area. Authorities say somebody shooting an exploding target on Sunday started the fire that’s burning in grass and timber. Authorities are asking for the public’s help in identifying that person. Fire spokeswoman Kim Osborn said about 150 firefighters are at the Sharps Fire with more arriving. She said they faced tough conditions Tuesday with temperatures in the 90s, low humidity, gusty winds and steep terrain. The P.E.I. Energy Corporation is seeking proposals for wood-chip heating systems that would be housed in approximately 25 government-owned buildings. The province currently buys heat from 29 privately-owned biomass systems. 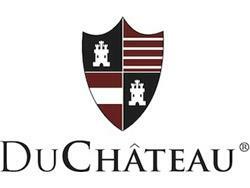 The request for proposals was published July 10 and will close on Sept. 14. It’s being done through the federal Low Carbon Economy Fund, said corporation director and CEO Kim Horrelt. “We’re looking at wood chips mostly, but for some of the smaller installations where wood chips may not be economical, there’s the possibility there could be some pellet furnaces,” said Horrelt. The RFP says the wood chips should be harvested in a sustainable way in P.E.I. “You don’t want to be trucking wood across [to P.E.I.] That doesn’t reduce your carbon footprint much if you’re trucking it in,” Horrelt said. “There’s a big economic benefit to these biomass systems in the wood industry,” Horrelt added. One company is vowing to plant a tree for every climate change comment President Donald Trump ever makes. Treepex is a New York-based company that provides a platform for people who wish to sponsor the planting of a tree anywhere around the world, according to The Independent. …The tree-planting company is hoping to bank on anti-Trump sentiment by launching a new initiative: Treespond. Treepex will plant a tree every time Trump tweets or talks about climate change. Each comment will be rated on a scale, and the number of planted trees will depend on how “ignorant” the comment is. …“As soon as the quote is ‘Treesponded’, in partnership with American Forestry Association, certain amount of trees are planted across the national forests of California recently devastated by wildfire,” it continues. …Rising temperatures linked to climate change are making the fires larger, more dangerous and more expensive to fight, experts have said. …California Gov. Jerry Brown said the severe fires were the “new normal” for the state and that years of drought and rising temperatures from climate change contributed to the worsening fire seasons. 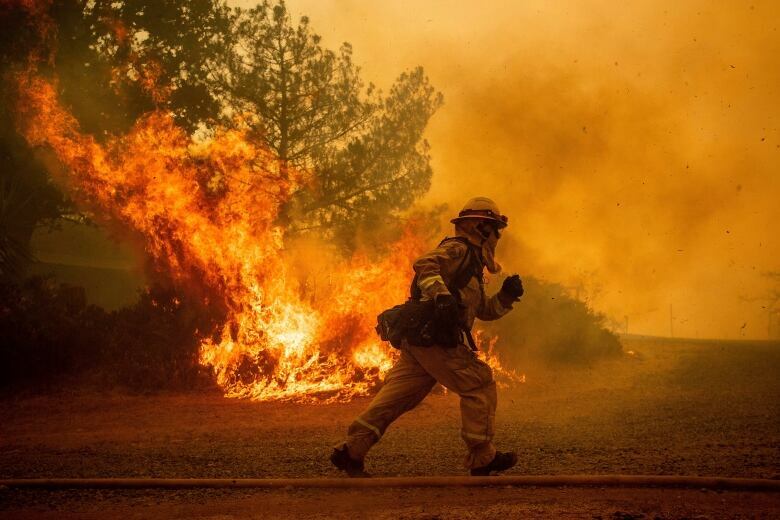 Before the Carr Fire broke out near Sacramento, the area was facing its hottest July on record — as much as 10 degrees higher than normal. …While rising temperatures may not spark a wildfire, the heat often make fires more likely and more severe. 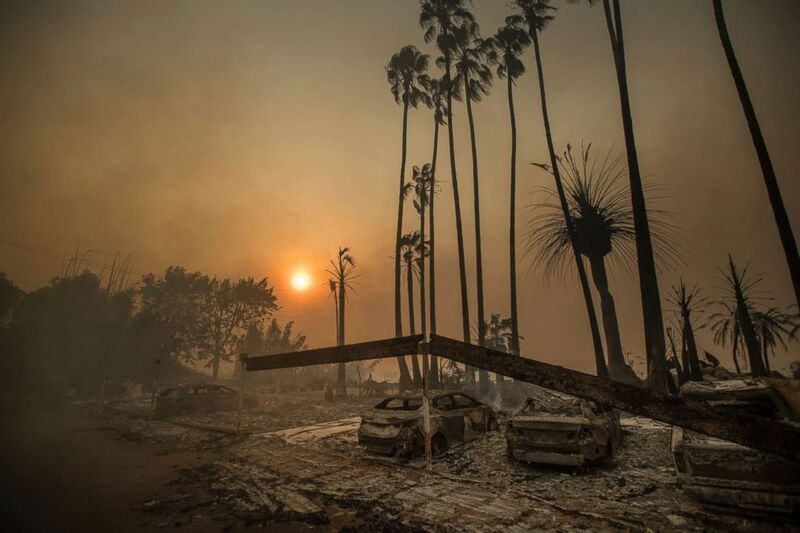 …Multiple studies have found a connection between rising temperatures and the severity of wildfires, but other research suggests other factors also are at play. …The researchers found that in some cases the way people manage or develop land in a specific area can counteract increased risks associated with rising temperatures or drought.